California’s Secret to Green Jobs and a Thriving Clean Economy? It’s Policy. 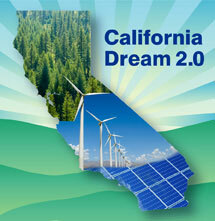 California has a thriving clean economy. In fact, the Golden State boasted more green jobs in clean energy and transportation last year than the other top 4 states combined, according to a new report by Environmental Entrepreneurs. Innovation – The state is a hub for clean energy innovation. Clean technology patents grew by 26 percent in the past 2 years, outpacing the country and the rest of the world. It is the “undisputed leader in solar technology patents” according to Next10.org, with totals greater than the cumulative solar patents of the next eight highest states. Energy Generation – Total renewable energy generation has grown 28 percent between 2007 and 2011 and wind energy has doubled during this same period. Earlier this month, the state broke its own record for solar power – over 15,394 megawatt-hours of power to the grid, enough for every Californian to keep a 100-watt bulb lit for four hours. Not to be outdone, the state also surpassed 4-gigawatts of wind power — similar to what California’s two nuclear plants can churn out at full power, or enough to momentarily supply over 2.5 million homes. Jobs – Green jobs are growing four times faster than the rate of all other jobs nationwide, with the majority happening in California according to the Bureau of Labor Statistics. EDF’s analysis of California’s clean economy finds that jobs in core sectors like energy efficiency, renewable energy, clean transportation, and advanced storage and materials have not only remained resilient during the worst of the Great Recession (2008-2010), they outpaced all other job growth and grew 109 percent from 1995 to 2010. Green jobs are also good jobs in California. They are diverse, across a wide range of education-level and skills, and almost half of all jobs in the clean economy don’t require a college degree according to the Brookings Institution. On average, green jobs offer a higher median wage and career advancement opportunities. 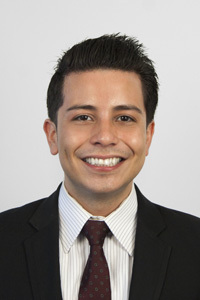 An analysis by Philip Romero, the former Dean of CSU Los Angeles College of Business and Economics finds that “workers command wages with a 50-to-100 percent premium over the average job,” and estimates that the overall clean economy will grow “by at least 60-to-100 percent” by the late 2030’s. Something exciting is happening in California, and at this point you may be wondering what our secret is? I believe good stuff can happen when you set clear policies that signal markets and influence behaviors. There is a reason why 24 percent of hybrid and 32 percent of electric vehicles in the US are registered in California: good policy that led to better cars and consumers who could see the improvement to their bottom line at the gas pump. California leads in renewable energy, efficiency, and clean transportation in strong part because of strong policies like AB 32 which puts a price on carbon and sets a statewide Renewable Portfolio Standard, providing a clear market signal for greater investment in clean technology. And by the way, someone local has to install all those solar panels and wind turbines, weatherize all those homes, as well as maintain and operate all those buses and rail cars – good jobs in the clean economy follow smart policy. It turns out that California’s “secret” to growing green jobs and a thriving clean economy is not so secret at all…it’s good policy. This entry was posted in Clean Energy, Global Warming Solutions Act: AB 32, Jobs and tagged Clean Energy, Energy Efficiency, Green Jobs, Jobs. Bookmark the permalink. Both comments and trackbacks are currently closed. As much as I want a focus on “good jobs,” we need to pay attention to the reality of the situation and the artificial delays which are occurring as people try to craft a jobs-intensive, solar-on-rooftop approach to reducing greenhouse gases. The reality is we need to rapidly and massive reduce emissions of CO2 and other greenhouse gases, and that means economically transforming and de-carbonizing electricity generation and electrifying transportation to the maximum extent and as fast a possible. Many of the “good job: approaches are way too slow and far more expensive to accomplish the real objectives in the actual time alloted. We need to remember why we are expediting this transformation: global warming and its awful, relentless consequences. Intended to find solutions Technology and Alternative Energy for the energy crisis and aims to develop new ideas with impact on Economics and the Environment. You could definitely see your expertise in the paintings you write. The sector hopes for more passionate writers like you who are not afraid to say how they believe. Always go after your heart. “History is the version of past events that people have decided to agree upon.” by Napoleon.